(7/20/2011) California lenders who agree to a short sale must accept the agreed upon short sale payment as payment in full for the outstanding balance of all loans, including the first and second mortgages. On July 15, Gov. Jerry Brown signed SB 458 into law to make short sales more viable. It was authored by State Senate Majority Leader Ellen Corbett (D-San Leandro). A short sale occurs when the bank allows the sale of a home for less than the existing mortgage balance, typically, provided there's a qualified buyer in the wings. Such homes are often held by home owners struggling with "underwater" mortgages -- mortgages with balances larger than the value of the home. In terms of the impact on a homeowner's credit report, there's no guarantee, but a short sale can be less harmful than a foreclosure. The homeowner should be aware of how the sale will be reported to the credit bureaus. Previously, protections offered by SB 931 only required the first lien holder in a short sale to accept an agreed-upon payment as the full payment for the outstanding first loan balance and did not address second lien holders. Also, even the first lien holder could come after home owners for some or all of the balance left over from the short sale on the first mortgage. "We faced that for the last four and half years. Jerry Brown stopped that. God Bless him. 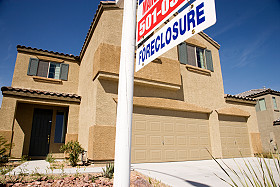 This is a continuation of plugging a loophole that kept people on the hook even after a short sale," said Raffi Tal, a real estate broker and Vice President of Operations of iShortSale.com, in Woodland Hills, CA. However, without the ability to go after homeowners for a second mortgage or balance on the first, it's not clear if the growing number of short sales will stall or fall. "The signing of this bill is a victory for California homeowners who have been forced to short sell their home only to find that the lender will pursue them after the short sale closes, and demand an additional payment to subsidize the difference," said California Association of Realtors' President Beth L. Peerce. "SB 458 brings closure and certainty to the short sale process and ensures that once a lender has agreed to accept a short sale payment on a property, all lien holders -- those in first position and in junior positions -- will consider the outstanding balance as paid in full and the homeowner will not be held responsible for any additional payments on the property," Peerce added.